Please answer the questions below to the best of your knowledge and from your own perspective. 6. Which activities do you consider to be DNS abuse? Answer: Launching hundreds of unwanted, unneeded new gTLDs into the global DNS has to be DNS abuse problem #1 of which the known perpetrator is ICANN itself (along with a few hucksters hoping to make money by exploiting trademark owners and domain name registrants generally), while the victims are businesses, registrants, and the entire global internet community. What has been the effect of ICANN's new gTLDs? 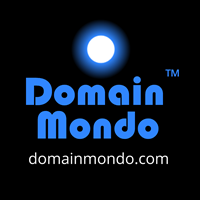 Financially failing gTLDs, predatory pricing, malware, rampant cybercrime and trademark infringement, "shady" new gTLDs that "fail to work as expected on the internet" (universal acceptance, collisions, etc. ), resulting in reputable security firms advising their clients to block new gTLDs "wholesale" in order to protect the safety, stability, and security of their networks and users. 7. If you could put forth a globally accepted definition of DNS abuse, what would it be? This definition should be broad enough to cover various malicious uses of the DNS. Answer: Misuse and abuse of the global domain name system (DNS) by ICANN, TLD registry operators, registrars, registrants, or others having access to the DNS. 8. In your opinion, what are the most effective methods to measure the prevalence of abusive activities in the DNS? Answer: Measure which TLDs are being blocked "wholesale" by network administrators and others globally for reasons of safety and security. Also measure which registry operators, registrars and registrants are connected to domains identified as having abusive activities. Contact firms like IID and Blue Coat to help ICANN staff begin to "understand and comprehend" the magnitude of the problem ICANN has created with its new gTLDs program, and the damage being inflicted upon the DNS and global internet community. ICANN's new gTLDs program is an example of "bad policy, 'horribly implemented.'" 9. As part of the New gTLD Program, ICANN introduced safeguards to mitigate potential DNS abuse in new gTLDs (listed above). How would you propose we measure the effectiveness of these safeguards? Answer: Since ICANN itself is a source of the problem--see answer to #6 above--accordingly, "ICANN safeguards" were insufficient and ineffective from the start. If ICANN never had a clue how to measure the effectiveness of its own safeguards, ICANN should have never introduced new gTLDs. A. Which were and/or were not effective? How so and why do you believe they were or were not effective? B. Are there safeguards that should have been included but were not? Answer to 10A&B: My experience has been as a user of the internet, domain name registrant, and website developer/publisher/editor. ICANN's "safeguards" were ineffective and insufficient--see answers to #6, #7, #8, #9 above. ICANN's new gTLDs program--bad policy, horribly implemented--is a complete indictment of ICANN and its own peculiar form of the "multistakeholder model" of internet governance.